Ages 2-5. 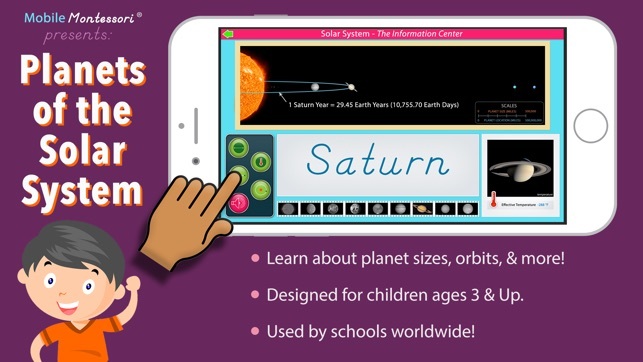 This app is designed for very young children, even if they cannot read yet, to learn about our solar system! 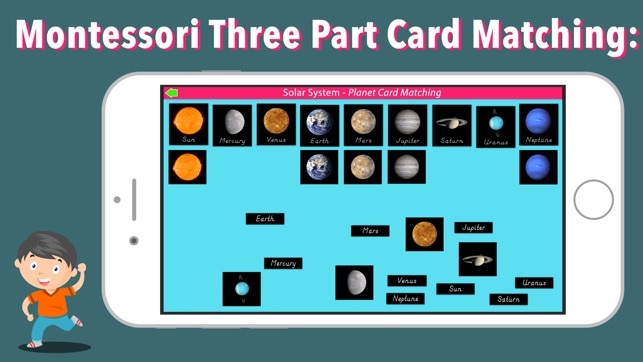 You will be pleasantly surprised how much you child will learn and remember with this app. 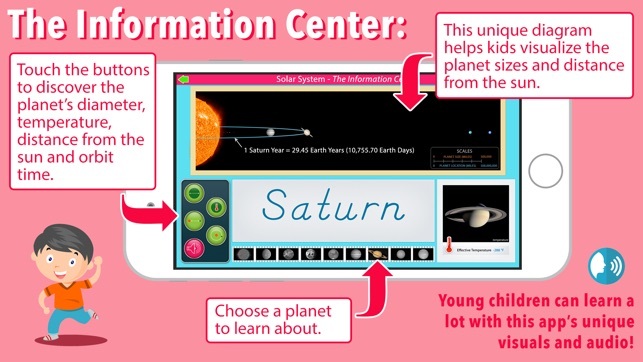 Children love the vivid images and the audio descriptions of the planets. They may even memorize a fact or two about our amazing solar system! 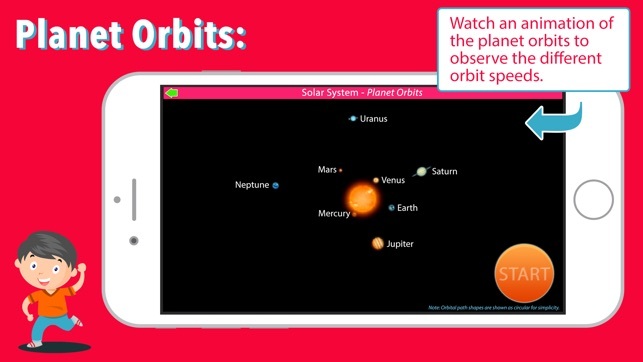 In a simple way, the app teaches children about each planet's location, size, orbit time, temperature, composition, and more. Children love big numbers, and there are plenty in this app! 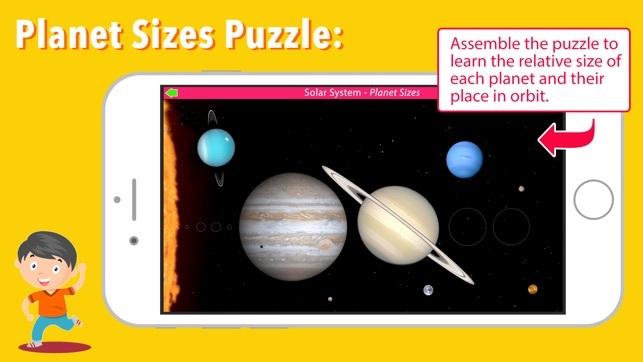 We've packed a ton of information into an app that is designed specifically to teach young minds! Thank you for your support! This app is now UNIVERSAL! Use it on iPads and iPhones! 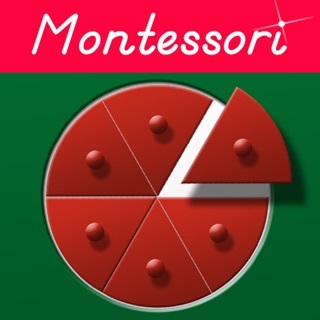 Thanks for your support of our Montessori Apps! 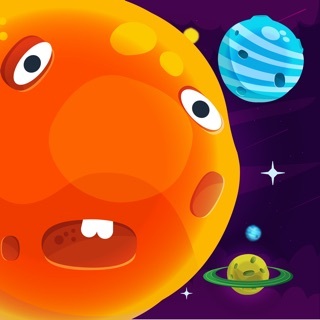 It’s a challenge to try to teach younger children about the solar system. The audio voice in this app is perfect to teach the concepts. Thx! My 6-year-old sand 3-year-old are fascinated with space. 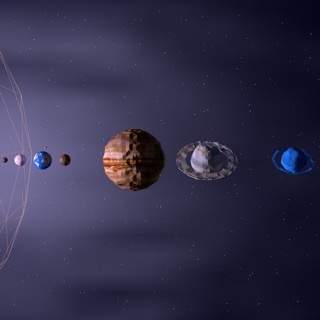 This app gives them information about each planet in an engaging manner. My favorite part is the card matching work! Definitely worth the wait, and looking for to more. Thank you for making this lovely app :0) Yalanda O. Sadly I cannot encourage others to purchase this app. It only kind of works and eventually crashes. When it does run, the information and activities seem dated and simplistic. It is not a polished app. The free NASA app is better as are other apps pertaining to the solar system, galaxy, and exo planets. I suspect I'll be deleting this shortly. Can't imagine my children will find this to be anything other than frustrating and boring.